Here at Carre Migration Australia, we celebrate positive outcomes and our proudest and rewarding moments are when we receive the glowing testimonials from past clients. Every case we take, we believe in challenging the law applicable. We choose to think differently. The way we challenge the immigration officers is by breaking down the law, tell them in the simplest of terms why the law is in favor of our client’s, and which parts of their visa assessment policy is applicable. Our communication with our clients is simplified and friendly. We just happen to make representations. The feedback we receive from our clients is the key driver. We are passionate about pursuing our client’s goals first and foremost. We are driven by belief, cause, and purpose which is why we are BOLD when representing our clients. I cannot really comment on value for money as my new employer paid for the service. The service we received was very professional and, considering the time difference between Australia and the UK, emaiils were always answered promptly. Fiona's team also dealt with sorting our private medical care out and did this very efficiently with little bother to us. 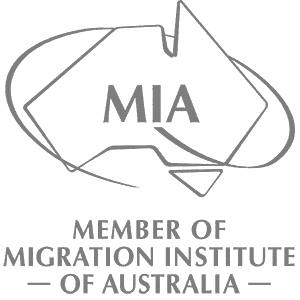 I would not hesitate to recommend her to anyone needing help and advice with migration. Great company to assist with my visa application. Very professional, quick and knowledgeable! Would recommend their services to anyone looking for assistance. I will be thankful forever for such a great assistance. I always though I had to do the sponsorship visa 147 before getting my permanent residency but Fiona did help me to avoid those 2 years and be able to get my residency in 9 moths. Very happy, questions and enquires where always attended immediately. Carre Immigration was wonderful in helping me receive my permanent residency. Every step of the way they guided me and helped me understand the process. They were patient with being inundated with my questions, which I am sure they have been asked a dozen times before. I can truly recommend their services. It was efficient, friendly and professional. Carre Migration came recommended by a friend, so we already knew the service would be good. We were wrong..... it was GREAT! Sangeeta and Fiona helped us every step of the way and were very thorough and straight-forward with information. Really helped demystify some of the finer points required. Our family had a successful outcome and I know it's due to the wonderful work the folks at Carre did for us in ensuring every i was dotted and t crossed, correctly. Thank you for your help! I just obtain my Permanent Residency with the help of Carre Migration. I highly recommend this company. Their team is both friendly and professional. It tooks 2 months to have the skilled independent PR from the date they lodge my application. During the whole process they were always present and responding to my emails very quickly. They also gave me great advices regarding which visa to choose. I couldn't be more happy. Thank you! I've been a client of Fiona Carre Migration for the last 4 years with success of achieving both sponsorship and permanent residency I would highly recommend her services. Fiona was kind, professional and available even after hours it seems from e-mails received. Prompt service and feedback on questions. The service was hassle- free and you updated me as the application progressed. I'm very happy with the level of professional service that I received so keep doing what you are doing and I for one will be using your services again. There was always an email (s) from Fiona everyday reminding me about something else I had to do. Fiona always kept me updated about the process. Fiona advised me of additional information that would help me with my application and I felt that she really wanted my Visa to be approved as much as I did, she always endeavoured to do her best for me.